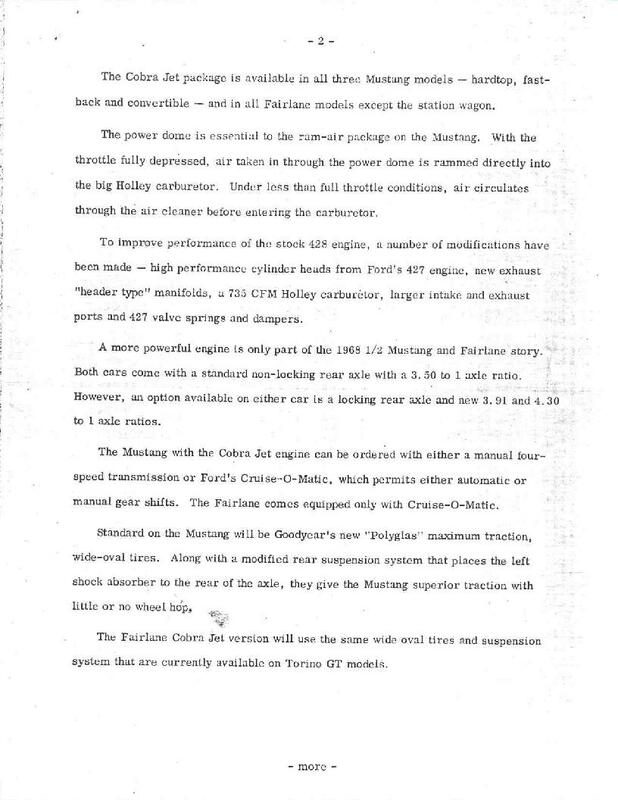 Thanks to Keith Blasius for sharing copies of the original Ford Motor Company press release of 15 April 1968 announcing availability of the 428 Cobra Jet engine in Mustangs and Fairlanes. 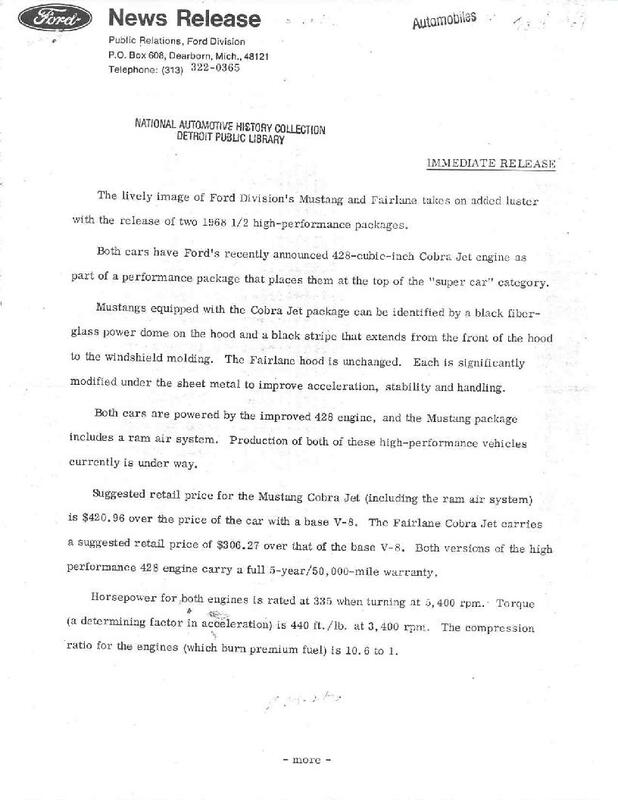 Keith owns a limited production 1968 Fairlane 500 R-code formal roof car with 34,000 original miles, so he understands the mystique of this mighty motor as well as we do. 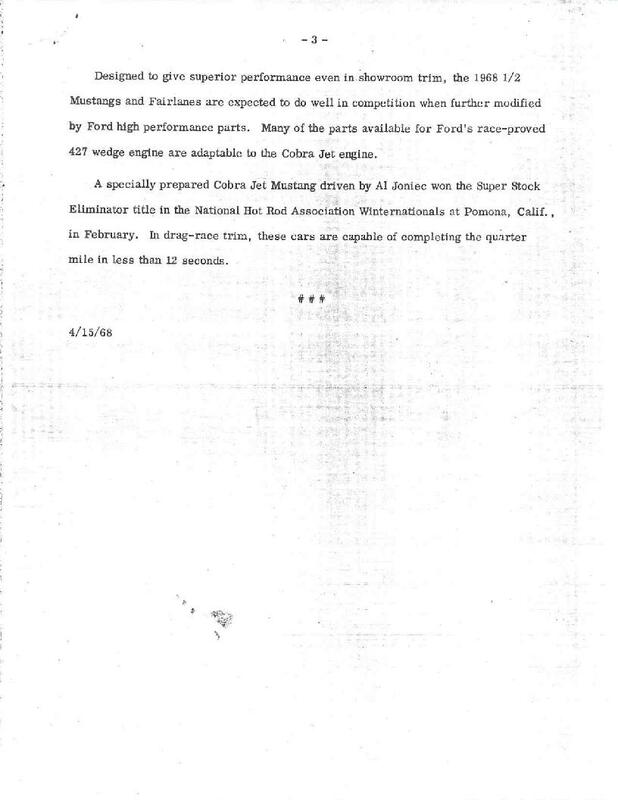 The press release is provided here in three pages, each 8.5 inches by 11 inches. Thanks, Keith!